Editor’s Note: This article is a guest post by our sponsor Abine.com, the makers of the browser extension. 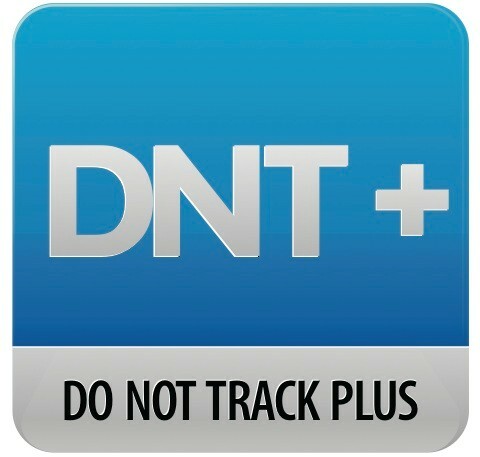 DNT+ is FREE and keeps websites from tracking you online. If you’re like most people on Facebook who use apps, you click “agree” to whatever permissions pop up on your screen. But if you value your online privacy, there are some that you should think twice about allowing. Since Facebook’s has launched its IPO, we’re releasing an expert list of the three most privacy-invasive Facebook app permissions along with tips for protecting your privacy. App developers have created a robust world of games and tools for Facebook’s 900+ million monthly users. These apps enable people to connect with friends and use the web like never before, but some of these benefits come with grave privacy concerns: some apps can use and transmit your data in unexpected and potentially dangerous ways. All required permissions pop up on the screen when a user first installs an app. And although most Facebook apps ask for an expected amount of information required for the app to function, others ask for much more. There are approximately 70 different permissions that app developers can use, and many are quite invasive when it comes to online privacy. They can also be vague (what does “access my basic information” actually mean?) This makes it pretty complicated for everyday Facebook users to sort through the risks. Read Requests: Probably the most privacy-invasive permission, Read Requests can make the request “read_mailbox,” which allows apps to read the private messages in your inbox. Do you really want app developers, companies, and advertisers accessing your personal communications? Access Your Friends’ Data: Be a considerate friend and avoid using apps that access your friends’ data, especially more sensitive information such as “current location,” “access to friends photos,” “access to religious or political views,” “access to family or relationship status,” “access to videos,” and “access to friends “email addresses.” Even if your friends have strong Facebook privacy settings, you may end up weakening them through your own app choices. Publishing Requests: We’ve all seen Farmville make (sometimes excessive) posts to our friends’ walls: this activity is driven by a permission embedded in the Farmville app they approved. While the fact that you’re looking for some water for your crops isn’t exactly a personal secret, this permission may publish much more sensitive information including what you’re reading and the sites you’re viewing. Tip 1: Do your research beforehand. Before you even get to the installation page, search for actual user reviews from people who have used the app. Search the web for the app’s name in quotes and the word “privacy” (for example, “Farmville” + “privacy”). Try not to be impulsive: even if an app looks interesting, its privacy problems may not outweigh its benefits. Tip 3: Revisit the apps you’ve already approved and get rid of spammy ones. Log into Facebook and go to “Privacy Settings,” then “Apps and Websites,” then edit your settings in “Apps you use.” You’ll probably see a long list of apps there. If you don’t recognize something or haven’t used it in a while, delete it. If you do use an app, review its permissions to be sure you’re comfortable with them. Previous post Vanilla Ice Dies In Car Crash - Facebook Hoax Next post What happens when you click “Report” on Facebook?